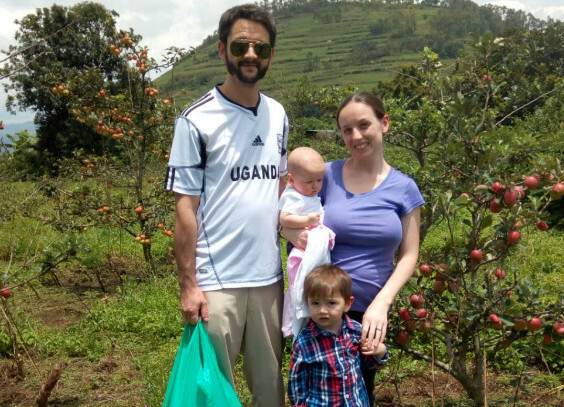 At this year’s Synod, the Johnsons sent a video to update the New England church on their work in Uganda. The video, along with their latest ministry update is below. Read the post written at the beginning of their story two years ago to find out more. Please keep the Johnson family in your prayers. As we come into the holiday season we are all missing home and the traditions and foods that go along with this time of year. We were able to go apple picking thanks to a friend at church. This meant so much to our family. We are hoping to find more activities that we can still keep for the holidays. We are preparing for a much needed family vacation to Jinja in just a few short weeks. We will celebrate Thanksgiving first with some friends from England. Aveline is now 7 months old. She loves rolling all around and is getting ready for sitting and crawling. She loves to eat all sorts of foods. We were able to purchase a family car so thank you for making this happen. It has been such a blessing to our family. We went through yet another language teacher and hopefully have finally found our permanent language teacher. He is an older man and knows a lot about the language. He was even able to purchase a Bible in the local language for me to use. 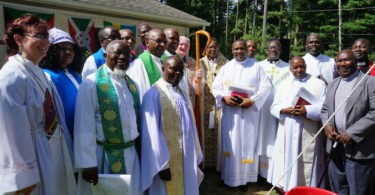 Thank you to all of you who support us in many different ways – prayers, financial gifts, sending packages and letters. We appreciate you all so much and could not continue to do God’s work without you. We are getting ready for the Advent/Christmas season at the Cathedral so Jillian will be busy participating in services. 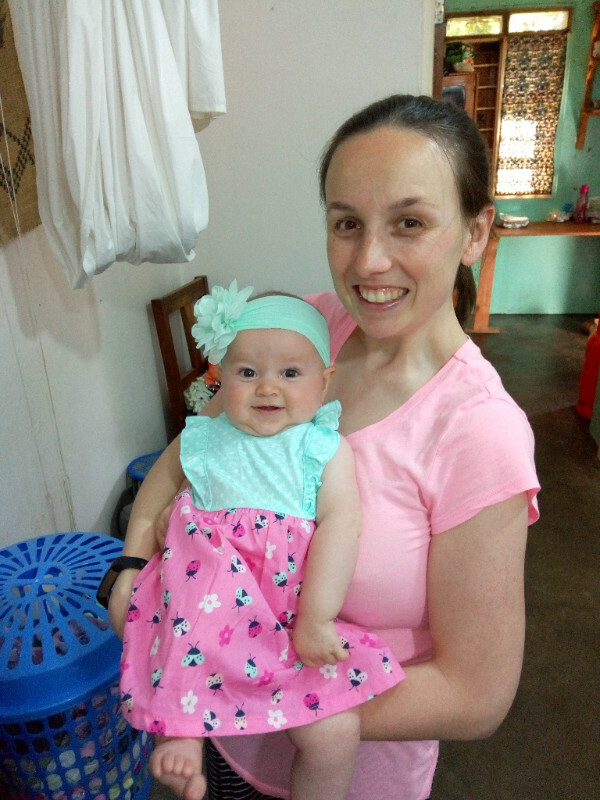 Also Jillian will be participating in the Mother’s Union group – we have been visiting new mothers and their babies as a group. This time has been a blessing to get to know other young mothers in the community. 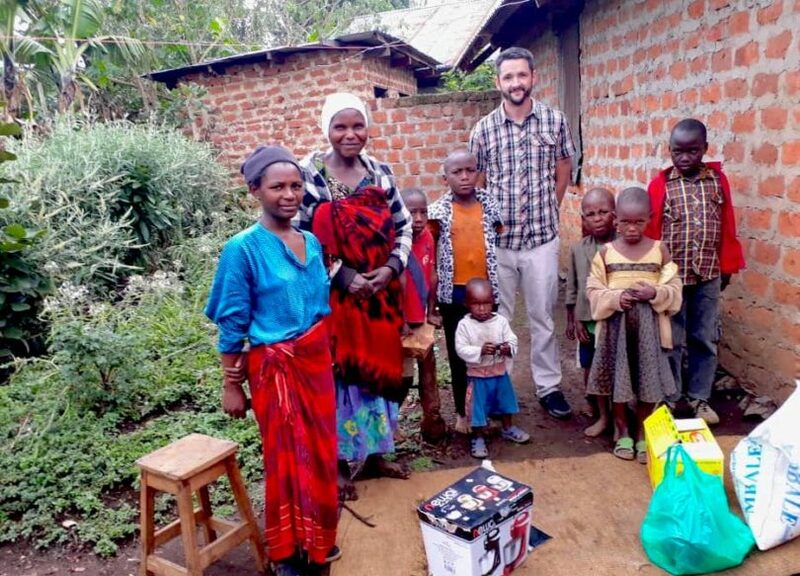 Ryan finally gifted about 30 rabbits to the Batwa community for them to start breeding, collecting urine for fertilizer and then selling off the extra bunnies. He connected with a farmer in Kampala who has been able to send pellets to feed the rabbits, a new watering system and feeding trays. He also has sent special medicine for when the rabbits get sick. He has created new rabbit cages and combined with the new watering and feeding system he only takes about 5 minutes to feed them all. He is also looking into expanding our rabbit farm here to continue to make money to fund the various projects for the Batwa community. Pray that people will continue to join us prayerfully and financially in the second part of this year since we have lost some supporters since coming. Pray that our language lessons can now be fruitful with our new teacher. Pray that we take more initiative to practice the language so that we can become fluent more quickly especially since we have been here over a year now. Praise for the new opportunity to minister to the people of the Cathedral church. Praise for a new car for our family. It is such a blessing to us. Pray for opportunities to build friendships over the holiday season. Pray for times of loneliness over the upcoming holiday season. Pray for a restful family vacation and for safe travels during this time. Our monthly goal for support for the four of us will be $3000. This is the recommended living amount for Uganda. This could change in the future as we are spending a lot less than this each month. But we are putting a lot of it aside for any emergencies that might come up. Currently we have 19 monthly partners giving 74.9% of this goal. Thank you to those 19 people and churches who are giving to us on a regular basis and also to those others who give to us from time to time. Like we said we have had some people dropping their support for various reasons and we need others to join us if you feel God calling you to give in the second half of this year. We would like to be at 100% of this goal as soon as possible so that we can be assured safely that we will be able to live and minister in Uganda long term. With Aveline’s arrival our expenses will go up slightly. Would you prayerfully consider giving in some way towards our future living costs? If you are ready to give please click on the link below. If you have questions about our ministry or giving towards our ministry please contact us by email at thejohnsons@swissmail.org. Click here to help support the Johnson Family Mission!